Today many people live in towns and cities where light pollution blots out the night sky, making it hard to see the stars. NeoMam Infographic Studios recently created a new infographic for Cheapflights.ca that shows the best places around the world for stargazing! From the isolated expanse of the Atacama Desert to Aurora Borealis-lit Abisko, Sweden, read on for the ultimate Stargazers’ Travel Guide. Today many people live in towns and cities where light pollution blots out the night sky, making it hard to see the stars. NeoMam Infographic Studios recently created a new infographic for Cheapflights.ca that shows the best places around the world for stargazing! 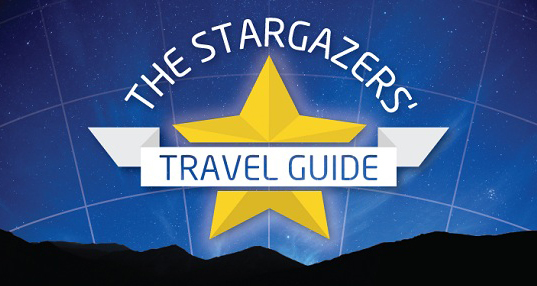 From the isolated expanse of the Atacama Desert to Aurora Borealis-lit Abisko, Sweden, read on for the ultimate Stargazers' Travel Guide.